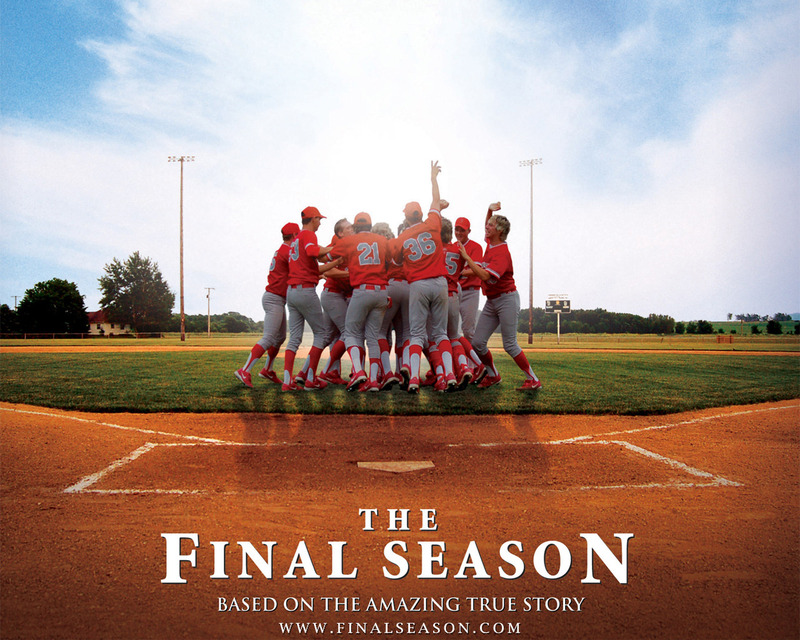 Brief Synopsis – Based on the true story of an Iowa high school baseball team who after 19 winning seasons must play their final season before the school is closed with a rookie coach to try and clinch their 20th and final victory. My Take on it – This is a movie that I wish I could have enjoyed more than I did. The problem isn’t that the movie is boring or that the characters aren’t likeable, the problem is that the writers put way too many stories into this movie that it feels stuffed to the brim with storylines but not enough time to expound upon them. This movie attempts to do for small town baseball what Hoosiers (1986) did for small town basketball and what Friday Night Lights (2004) did for small town football. Hoosiers focused on the coach and the games and didn’t spend too much time on all of the personal stories of the players and their families. FNL gave enough of a glimpse into the personal stories and families to spark a TV series which was able to them go into more depth of the characters and of the town itself. This movie unfortunately fails because it does neither; it doesn’t constrict itself to a few storylines and doesn’t spark enough interest with the characters to have inspired a TV series that could expand of them. This is quite unfortunate because this story is very inspiring and had it been handled better, it might have been able to succeed. The cast is pretty good here, especially Powers Boothe and Sean Astin. I truly wish that I could have rated this one higher because the goods are there, they are just buried too deep to see the treasure sparkle. Bottom Line – Movie would work better as a TV series since too much was going on. The baseball scenes were great to watch. Boothe and Astin are pretty good here as is the largely unknown supporting cast.